We are experiencing an infestation of Hunting Billbugs in West Tennessee. An adult billbug is a 1/5" to 3/4" long beetle that lays its larvae in the stems of your grass blades. They predominately feed on Bermuda and Zoysia grasses. To find out if your lawn has billbugs look for "dead" spots in your lawn. If you find one, simply pull the grass back to see if the roots are still in place or dig down a bit to see if you can spot the bug itself. 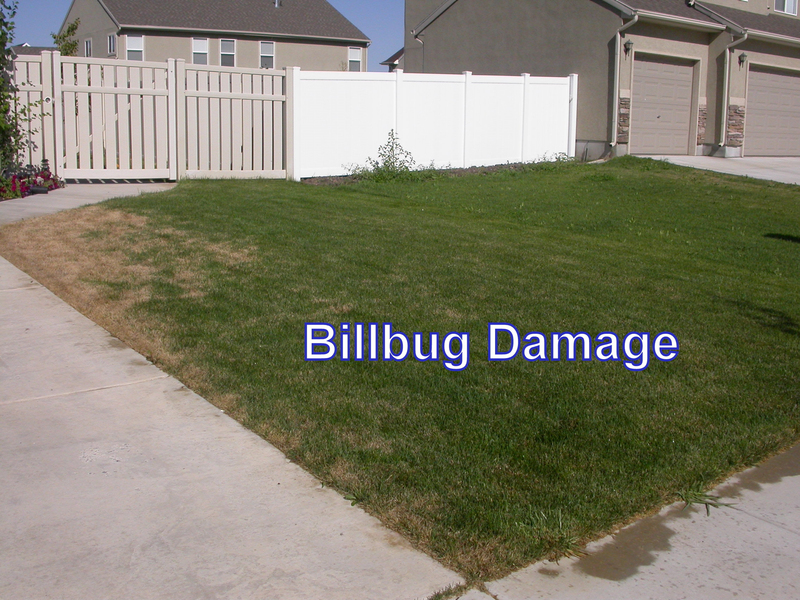 Billbugs cause damage by laying their larvae and after they hatch by eating the root of your grass. The adult Billbug will eat the grass on top. So, you may not immediately see any damage. 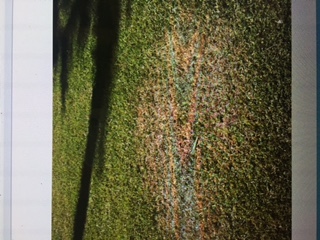 In fact, the damage may not even show up until Spring when the grass tries to come out of dormancy. 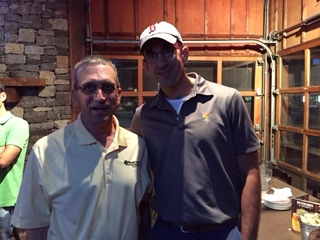 Bob McCurdy, of McCurdy Sod Farms, recently hosted an event in Jackson. One of the guest speakers was Dr. Jim Brosnan. The discussion revolved around the wet Spring we have had and the effect it has had on weed problems, insects and diseases so far this year. Dr. Brosnan discussed how when the temperatures warm up the problems will probably go away. The lawn care companies in attendance all agreed it has been one of the toughest years to have this type of weather at the beginning of June. Customers may notice more Fire/Burn weed than normal for this time of year due to the wet weather. Zoysia grass has been the hardest grass to thrive this Spring. Thank You Dr. Jim Brosnan for sharing your valuable knowledge and Thanks to Bob McCurdy for your support, great customer service and providing our business with the best grass around for the past 20 years. We have had numerous calls with questions concerning weeds and grass not greening up. 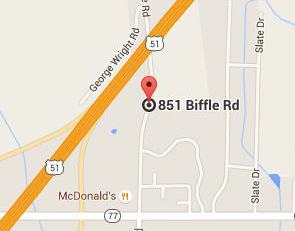 We have videos on our Face Book page for you to view. But with that being said we will try to answer some of the questions here. 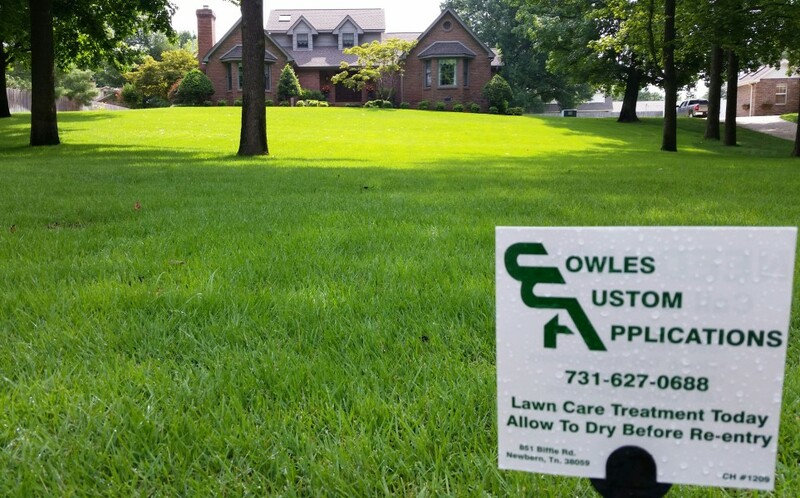 As we all know the weather has been most uncooperative this Spring causing various issues that are affecting your lawns. We have had alot of Fire/Burn weed as well as some Foxtail. These weeds have germinated in the thatch due to the cool and wet conditions. The current lawn treatment (Early Summer) will kill these weeds out, we just have to get there to treat the lawn. But we can only go as fast as we can while dealing with wind, rainy conditions and cool temps. There has also been concern from our customers that their grass is just not greening up. Again this is weather related, Bermuda thrives in HOT weather and we have just not seen that much 80 and above temps. A few days here and there but nothing consistent. The grass needs SUN and HOT temps to begin to green up. But with this treatment (Early Summer) there is fertilizer as well as weed killer. This fertilizer with Sun and Warmer temps will kick your grass into high gear. If our temps continue to stay moderate then be prepared that your grass will take some time to transition, but his has nothing what so ever to do with the chemical treatments. The chemicals are doing their job but without the sun and temps they are working at a slower rate. Even though we are heading into May we have still been having cool and rainy weather to contend with. This will cause the grass to be delayed in it's growth and green up. If you have a FESCUE lawn you may notice brown patches in your lawn that you may have not seen in the past. This could be what is called Brown Patch which is a fungal issue caused by rain, leaves or other debris laying on top of the ground holding in all the moisture. If you suspect this please give us a call so we can check it out and if need be provide a fungicide treatment. If you have a Bermuda lawn, it is going to take temps staying in the 80's and above with lots of sunshine for the Bermuda to come out of dormancy. Bermuda thrives in Hot weather not this cool, rainy weather. Following is some information we would like to share with you as we prepare for the beginning of the year 2016. This information will include Lime Treatment and Flower Bed Treatments. As we begin this year there will be cold temps, snow and possibly ice to deal with until Spring arrives. 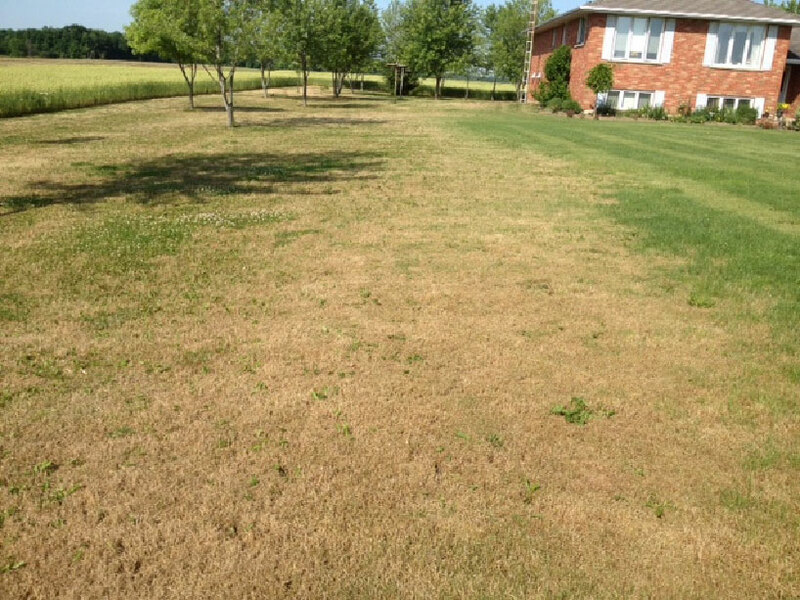 These conditions can harm or delay the growth of your grass as it comes out of dormancy. We are beginning your season with the Lime application. The Lime is a very important element to your grass and offers nutrients to help your lawn begin the growth season.